(POCs) all at competitive prices. Our Best Buy Guarantee ensures that we will not be beaten on price, or on the standard of service given to each individual enquiry. 1. Are there any discounts offered? as portable oxygen concentrators (POCs) all at competitive prices. Our Best Buy Guarantee ensures that we will not be beaten on price, or on the standard of service given to each individual enquiry. 2. Can I use oxygen on an aircraft?? 3. Do I need a medical note? 4. Do you offer a buy-back service? Occasionally Pure O2 will offer a buy-back scheme, depending on the age and condition of the unit in question. 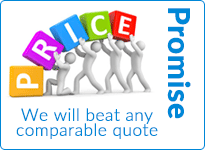 We always try and offer a fair price for this specific service. 5. Do you offer ex-demo & pre-owned equipment? 6. 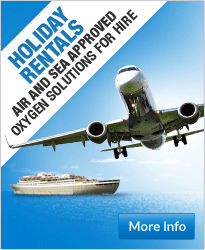 Do you rent portable oxygen concentrators? 7. Do you sell portable oxygen concentrators? within the medical sector. Pure O2 pride themselves on their outstanding reputation, gained through working closely with the NHS, private institutions, doctors dispensaries, businesses, charities, and of course private patients. 8. How do I prepare myself before going on holiday? assist if an emergency occurs. 9. How do oxygen concentrators work? concentrator does not require top-ups of oxygen, as found with cylinders. Pure O2 never charge for delivery*. Even though we won’t take a penny off you, the next-day delivery service we offer is professional and reliable – we wouldn’t have it any other way. *UK mainland only. 11. Should I exercise on oxygen? If you are a resident of the United Kingdom or Northern Ireland, and you are registered disabled and/or suffer from a chronic illness, VAT exemption is available on some products, including portable oxygen concentrators from Pure O2. people) or contact our National Advice Service on 0845 010 9000 before signing the declaration. 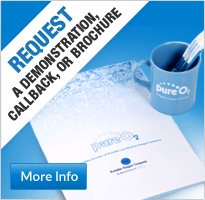 Pure O2 offers a full warranty on all of our products. We offer between three- and five-year warranties on our medical oxygen range. 14. What are the effects of low oxygen? 15. What if my LPM (litres per minute) goes up? In the event of a patient’s LPM increasing, we offer the option of an assessment with the view to part-exchange against a more powerful portable oxygen concentrator. 16. What if problems occur? maintenance, follow this link: link to services and support page. 17. What should I know when using oxygen overnight? of oxygen that is delivered by pulse on each intake on breath. If you are concerned about this, please call us and speak to one of our medical team, who will be happy to talk you through any concerns you may have. 18. Whats the difference between continous flow and pulse flow oxygen? an incredible piece of technology, I’m sure you’ll agree. These devices are often very lightweight and can supply oxygen over a long period of time, making them ideal for day-to-day activities and for travelling. 19. Why should international manufacturers carry CE, ISO:13485 and FAA approval? for a portable oxygen concentrator to be used on an aircraft. Most commonly approved devices are manufactured by Airsep, Inogen and Sequal.